Mr. Joe Collins Reddick, age 76, passed peacefully on Sunday January 27th at Augusta University Medical Center in Augusta, Ga., after a short illness. He was a native of Screven County having resided in Oakland Park Florida from 1966 until he moved to Bulloch County in 2017. He retired in 1997 from the Broward County System as a Teacher at Lauderhill Middle School. He was a 1961 graduate of Blanche Ely High School at Pompano Beach, Fl. He received a Bachelor Degree in Education from Florida Memorial (now Florida Memorial University) in 1965 and a Master of Science Degree from Nova University in 1978. He was a proud member of the Alpha Phi Alpha Fraternity. He was a former member of the Bethel A.M.E Church of Pompano Beach, Fl., and a current member of Crossroads Community Church of Statesboro, Ga. He is survived by his loving wife Mrs. Janice Thompson Reddick of Statesboro, Ga.; his loving children Ms. NaKetris Hall, Ms. Demary Wiles, Mrs. J'Mia Reddick (Kenneth) Thomas of Ft. Pierce, Fl., and Ms. Jenice C. Reddick of Decatur, Ga.; his loving sisters Mrs. Christine Carson of Detroit, MI., Mrs. Sammie Williams of Tennessee, Mrs. Dorothy Fields of Pompano Beach, Fl., and Mrs. Mary Hewett of Statham, Ga.; and a host of other relatives and friends. Family and friends visitations will be held Friday February 1, 2019 from 6-7pm at the Crossroads Community Church, Statesboro, Ga.
Home Going Services for Mr. Joe Reddick will be held Saturday February 2, 2019 at 11am at the Crossroads Community Church, 23923 Hwy. 80, Statesboro, Ga., with the Pastor Carey Swanson, Officiating. Repast will immediately follow funeral service. 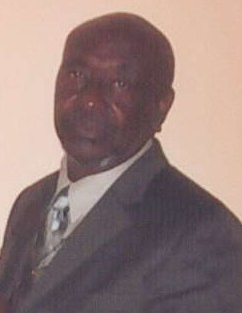 There will be another service for Mr. Joe Reddick held on Saturday February 9, 2019 at 9:30am at Bethel A.M.E Church, 405 NW 3rd Ave., Pompano Beach, Fl., with the Rev. Eddy Moise Jr., Officiating. Entombment will be held at Forest Lawn Memorial Gardens South, 2401 SW 64th Ave., Fort Lauderdale, Fl. Craig R. Tremble Funeral Home, Statesboro Chapel and James C. Boyd Funeral Home, Ft. Lauderdale, Fl., are in charge of arrangements.